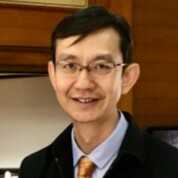 Dr.Nakorn Premsri is currenly the acting Director of Bureau of Epidemiology, Department of Diseaase Control, Ministry of Public Health, Thailand, appointed in November 2017. He finished his medical degree from Faculty of Medicine, Chulalongkorn University, Thailand in 1993. He started his work in the Ministry of Public Health, by working at the district hospital as a director in 1993-1996. Then he moved to study in Field Epidemiology Training Program (FETP) at Division of Epidemiology, Thai-MOPH in 1996-1998. After graduated in his epidemiology training, he returned to his home town at Sakaew Crown Prince provincial Hospital to work as a chief of Social Medicine Department, which involved particularly in health promotion, disease prevention and control. In 2003, he move to work as a research investigator team member in the world largest HIV Vaccine Phase III trial (RV144, Thai Trial), conducted by the collaborations among Department of Disease Control, Mahidol University, Armed Force Research Insttitute of Medical Sciences (AFRIMS). This vaccine revealed the first ever efficacious HIV vaccine at 31.2% of its efficacy and provided the significant scientific ķnowledge for further HIV vaccine development that aiming for the licensure vaccine for the world. Having finished the vaccine trial, in 2009, Dr.Nakorn was assigned to be the Director of Principal Recipient Office (PR-DCC) which is the funding management office of the funding support from the Global Fund to Fight Against AIDS, TB and Malaria (GFATM). His work experiences in both HIV vaccine trial and PR-DDC provide him both research and public health program management skills esp infectious disease prevention and control program.